KAMPALA – President Museveni has expressed his displeasure with the Electoral Commission, which he has blamed for unacceptably mismanaging recent elections. “The Electoral Commission is full of rotten people. I am going to get rid of them, why should we suffer from corrupt electoral officials when NRM has got so much manpower? 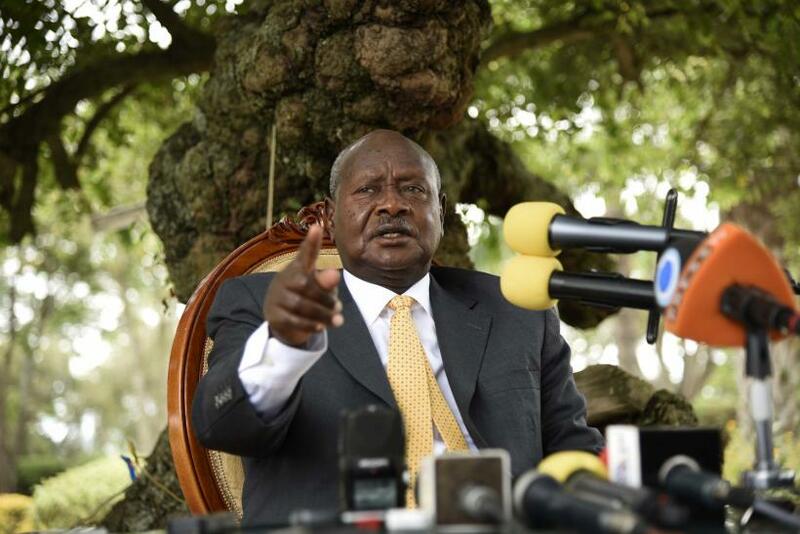 They should get out,” an angry Museveni said. According to President Museveni’s latest rant, the Electoral Commission is fond of importing ghost voters into the register, particularly in reference to Jinja East by-elections where FDC’s Paul Mwiru beat the NRM flag bearer Mr Nathan Igeme Nabeta. The president has also repeatedly accused the opposition of importing voters from the other districts to Arua during the recent area parliamentary by-election which he says it caused to fall for NRM. On Sunday, the president also lashed at the public service, saying that most public servants were incompetent and needed to be fired. “Things in the public service would move better if we had good public servants,” he said. The president then gave each of the women two cows and ordered that they get one more cow, from the Operation Wealth Creation program.